In a new study published in the Journal of Biological Chemistry, a research group led by James A. Hamilton, PhD, professor of Physiology, Biophysics and Radiology at Boston University School of Medicine, applied novel methods to detect binding of fatty acids to CD36 and their effect on internalization of oxidized LDL. Although other research groups have characterized a fatty acid binding site on CD36 and postulated CD36 to be a gatekeeper for fatty acid entry into cells, the Hamilton lab previously found that CD36 did not increase fatty acid translocation across the plasma membrane. In the current study all of the common dietary fatty acid types (saturated, unsaturated, trans and polyunsaturated) were shown by a new assay to bind to CD36 at levels greater than expected for a single binding site characterized in previous studies. In cells with CD36 present in the plasma membrane, all of the fatty acids also enhanced oxidized LDL uptake, except for the fish oil fatty acid DHA. This current study adds to the possible mechanisms for fish oil benefits that are now widely recognized. “Since obesity and type 2 diabetes are characterized by high plasma levels of fatty acids, the demonstrated enhancement of oxLDL uptake by increases in common dietary fatty acids may contribute to the pathophysiology of these diseases. Furthermore, our new results provided a link between fatty acids, CD36, and atherosclerosis and new drugs can be designed that target the exact mechanism more precisely.” added Hamilton. The work was supported by a grant from the American Diabetes Association. The study’s co-authors are Anthony Jay, Alex Chen, Justin Hung, and Miguel Paz. Obesity has reached global epidemic proportions in both adults and children and is associated with numerous comorbidities, including hypertension (HTN), type II diabetes mellitus, dyslipidemia, obstructive sleep apnea and sleep-disordered breathing, certain cancers, and major cardiovascular (CV) diseases. Because of its maladaptive effects on various CV risk factors and its adverse effects on CV structure and function, obesity has a major impact on CV diseases, such as heart failure (HF), coronary heart disease (CHD), sudden cardiac death, and atrial fibrillation, and is associated with reduced overall survival. Despite this adverse association, numerous studies have documented an obesity paradox in which overweight and obese people with established CV disease, including HTN, HF, CHD, and Peripheral arterial disease, have a better prognosis compared with nonoverweight/nonobese patients. This review summarizes the adverse effects of obesity on CV disease risk factors and its role in the pathogenesis of various CV diseases, reviews the obesity paradox and potential explanations for these puzzling data, and concludes with a discussion regarding the current state of weight reduction in the prevention and treatment of CV diseases. 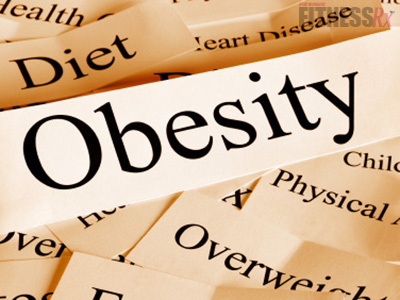 Obesity has been increasing in epidemic proportions in both adults and children. In adults, overweight is defined as a body mass index (BMI) 25 to 29.9 kg/m2 and obesity as BMI ≤30 kg/m2. Other indexes that have been used less commonly but possibly with more predictive power include body fatness, waist circumference (WC), waist-to-hip ratio (WHR), and weight-to-height ratio. A recent study of nearly 360,000 participants from 9 European countries showed that both general obesity and abdominal adiposity are associated with risk of death and support the importance of WC or WHR in addition to BMI for assessing mortality risk. Obesity has now become a critical problem in the U.S., with the prevalence among adults increasing by nearly 50% during the 1980s and 1990s; now, nearly 70% of adults are classified as overweight or obese compared with fewer than 25% 40 years ago. Additionally, the distribution of BMI in the U.S. has shifted in a skewed fashion such that the proportion of the population with morbid obesity has increased by a greater extent than overweight and mild obesity. Recent evidence indicates that obesity is associated with more morbidity than smoking, alcoholism, and poverty, and if current trends continue, obesity may soon overtake cigarette abuse as the leading cause of preventable death in the U.S.. Should we fail to stop the obesity epidemic, it has been predicted that we may soon witness an abrupt end, or even a reversal, of the steady increase in life expectancy. There are numerous adverse effects of obesity on general, and especially, cardiovascular (CV) health. Although obesity has been implicated as one of the major risk factors for hypertension (HTN), heart failure (HF), and coronary heart disease (CHD), evidence from clinical cohorts of patients with established CV diseases indicates an obesity paradox because overweight and obese patients with HTN, HF, CHD, and Peripheral arterial disease (PAD) tend to have a more favorable short- and long-term prognosis. Obesity is a risk factor for fatal heart attacks even for people who do not have the conditions normally associated with cardiovascular disease, such as diabetes and high blood pressure, a study shows. According to researchers at the University of Glasgow in Scotland, it appears that obesity in its own right is associated with an increased risk of fatal heart attacks. Inflammation is apparently a strong factor in fatal cardiovascular disease, the researchers say, and obesity is now increasingly being recognized as an inflammatory condition. She says it was thought that High cholesterol and blood pressure were the reasons obese people had more heart attacks, and that medications can treat those conditions.